Atidan is pleased to announce the release of Nintex Mobile Apps version 3.0 for Apple iOS, Android, and Windows Mobile with full support for Office 365. Contact us at nintex@atidan.com for a free trial and additional information. Nintex Mobile apps put the power of Nintex Workflow and Nintex Forms in your hands – anywhere, anytime. Whether you’re on the road or between meetings, you can act on your processes quickly, easily and securely. Watch the Nintex Mobile Overview video. 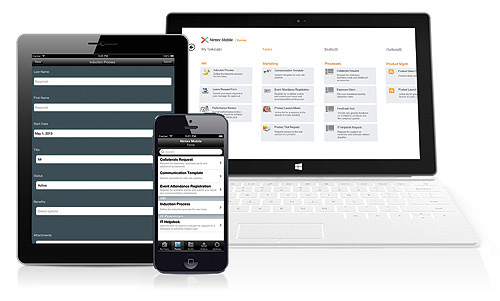 Trialing Nintex Mobile for your device is easy! Even if you don’t have Nintex Workflow or Nintex Forms, you can submit a request for a trial environment straight from the app. Take the power of your business processes into your own hands today and stay productive anywhere, anytime. 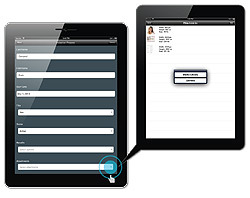 Real-time synchronization ensures all changes to your workflows and forms show up immediately on your mobile device, so you can stay productive everywhere. 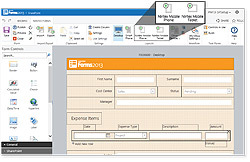 With Nintex Forms and Nintex Mobile apps, forms are more than words in text fields. Feed pictures, videos and other data directly into your processes. Rendering forms in native apps ensures a familiar experience for users, delivering the right format for their device and platform.